We are a small family farm raising beef cattle as close to natural as possible. Our cows are handled daily in a calm manner to keep them tame and with the least amount of stress as possible. A little background story: Aitken Farm & Ranch is home to a couple different families. We began buying a single steer to put in the freezer for everyone on the farm and sold some excess cuts to friends and neighbors in 2010. The owner of the neighboring raw goat milk dairy approached us about buying beef from us to sell in her store, so we decided to purchase a couple extra young calves to raise up as grassfed for the neighbor. This went well for a number of years, until the neighbor sold the farm due to family health issues. The new owner kept our deal going for a couple of years until he sold a portion of the farm and his partners had their own beef cattle and no longer needed our extra cows. We slowly used the beef we had and pondered what to do next. While our neighbors moved to selling only ground beef and bulk orders, we decided we would give selling beef to the public a try! We worked with our butcher and obtained state approved labeling for our cuts. We priced our ground beef the same as the neighbor's so as not to compete and then price checked other area grass fed producers and priced our cuts for sale. This was January 2017 and we have been steadily growing. 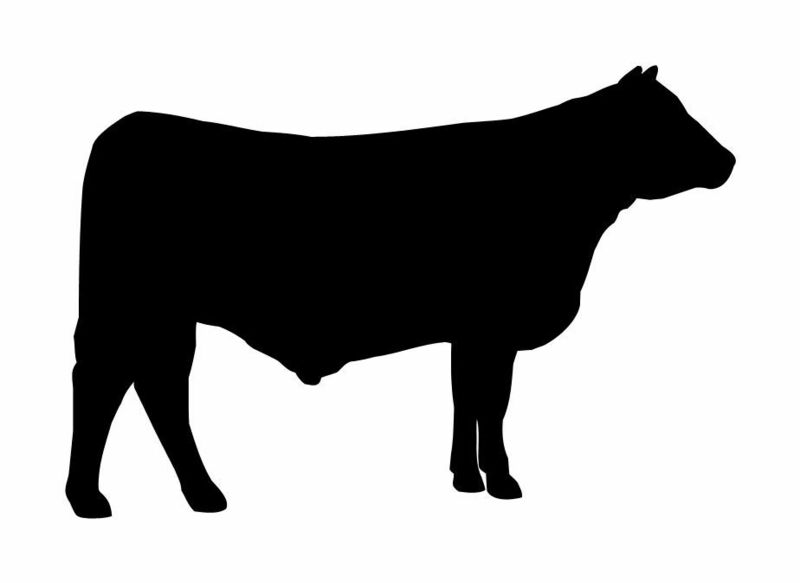 We started adding heifers or young cows to our purchases to allow for rebreeding. Unfortunately, buying cattle from the auction doesn't always work out, some were a bit skittish, some were fence jumpers, and some were just plain mean! With customers and children around we couldn't take the risk, so we have slowly cycled those cattle out and now have a small herd of 3 Angus cows, 2 Angus heifers, 1 Angus bull, and a Charolais/Jersey cross cow that was born here and bottle raised. We currently purchase our beef cows from a friend who raises them on grass only (just as we do our own) and takes them to the butcher for us when we are ready to restock the freezers or have a bulk order, but our end goal is for the majority of the beef we sell to be born and raised here on the farm. If all goes as planned, our heifers and bull should be having their first calves Spring 2019 (two came Fall 2018 - the end of November and were heifers to add to our breeding stock!) and those first freezer camp calves should be ready to go around 2022. Our Charolais/Jersey cross calved June 23rd, 2018, and started us on our way to having beef that has been grass fed here at the ranch from birth to butcher! In addition to our beef, we raise our laying hens on pasture and only pen them up at night. They free range all day long eating whatever tasty morsels they can find, lending unmatched flavor and qaulity to their eggs. When our hens are molting or slacking on their egg laying we have a partnership with a couple different farms that provide the same or better quality care for their hens as we do, including pastures to graze as well as organic and non gmo/corn/soy layer pellets. We also carry truly local honey and beeswax products from BZ Honey out of Tomball. BZ Honey has hives all over the Tomball area and a few in the Cypress and Katy area as well. For the coffee conmiseur we care locally roasted coffee beans from District Roasters out of Tomball. We sell goats milk soaps made by our friend Tanya from Rustic Moon Farm out of Magnolia, she is also where our Kune Kune pig and Nigerian Dwarf goats came from! Babs and Gracie - we start them young!